Here you will find photos of the model horses I have collected, as well as tack I have made. If you would be interested in purchasing any of my tack, check out the tack page for details. My wife and I also make saddle pads and I have some of my designs and photos of them on the Saddle Pads Page. 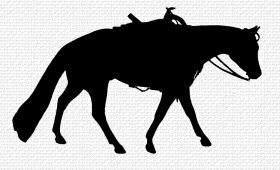 If you are also interested in model horse collecting, be sure and check out my links page where you will find lots of links to other model horse related sites. At this time I only have a couple of horses but will be adding more photos of them as I get them. If you would like to know a little more about me then check out the About Me page. I designed this web site, and have also designed graphics and web sites for others. To see some of my web page designs click on the logo below. If you would like me design a web site or graphics for you, just let me know. I may be willing to trade horses or tack for designing you a web site and/or graphics. Copyright © 2013 Circle A Horses & Art Cunningham. Viewed best at 1280 x 960 resolution in MSIE 5+. Report any broken links to the Webmaster.